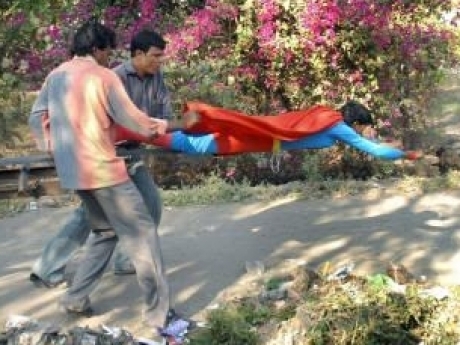 The visual reminds me of a film I saw a coupe years ago called Superman of Malegaon. Fantastic film made in Malegaon where apparently folks make copies of popular films for a fraction of the cost. the very fact that one has to deal with the most mundane issues of general life and give them a glam touch is the most challenging aspect of advertising. and without a healthy dose of curiosity and enthusiasm, this is impossible.